An 11-year-old girl presented with pain and deformity in her right little finger distal interphalangeal joint (DIPJ). She was active in several sports including hurling and had a history of dyspraxia with frequent minor soft tissue injuries which had not required hospital assessment. Her mother was concerned about the possibility of a recent injury. Examination showed flexion deformity of the right fifth finger with complete loss of extension at the DIPJ. There was mild swelling and tenderness of the DIPJ with no bruising, erythema or warmth. An X-ray was performed (figure 1). 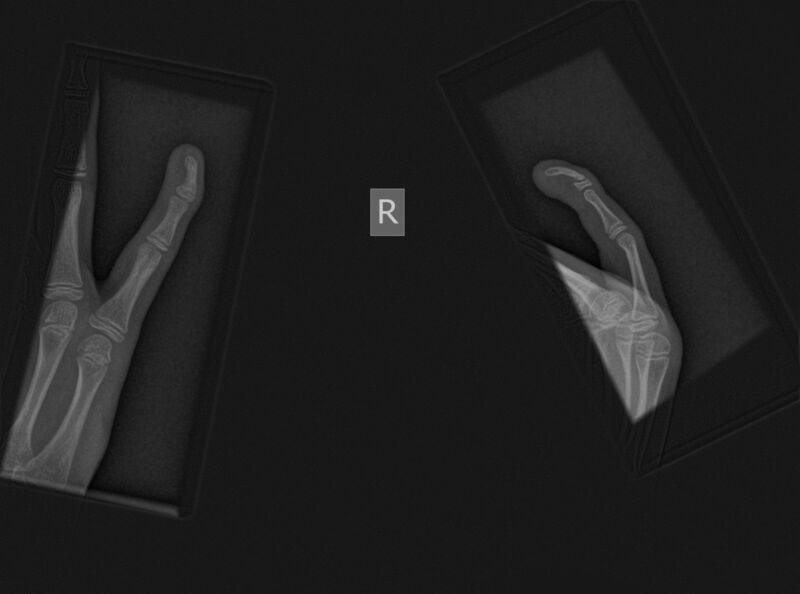 An teroposterior (AP) and lateral radiographs of the right little finger. Contributors All of the authors contributed equally.